where ya at in Gnet? HOTLANTA-thats right i said it. hey Everyone, New to the VW world. I have a tornado red MKV, Bone stock for now. I used to have a mazda 3 and would go to the occasional C&o. how many of these things are still going on, Id like to come out and see the dubs in atlanta. 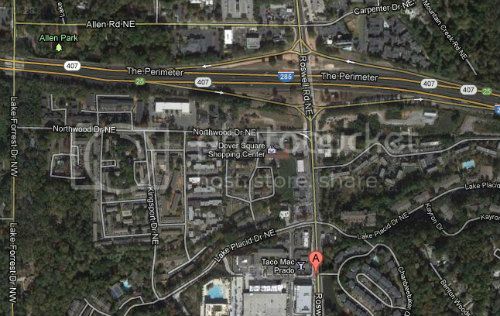 Im in alpharetta, down the street from where C&O has been. like title says im a noob here. anyone in the roswell area want to meet up or know of any local meets. i really dont want to drive all the way to athens to hang out. when and where is the lawerenceville meet? There are meets in Atlanta? Non specific but would love to see some more VW's up in gwinnett, the park on pleasant hill rd meets every thursday, 8pm till 11 and also the bp meet every saturday 8pm till ?? There's a new meet in town. Not trying to compete with RU!NED's meet, but we had 15 or so turn out at last month's (first) meet at Buffalo Wild Wings on Mansell in Alpharetta. RblGTI mentioned it in another thread, but nothing was in this one, thought I'd post so maybe we get even more exposure. This Saturday (Feb 9) is our second meet, seems like we already have a few more coming this time. The more the merrier! Originally started on G***MK6.COM, so last month looked like a clone factory, but variety is the spice of life, so all Vdubs are welcome at Bdubs. 6pm start, hope to see a bunch there! Not competing if they're on different days..
Good to see all of these new meets popping up. looks like another one is in the works for downtown ATL/southside peeps. hows felinis looking for tmrw? its a trip and if its gonna be good, im gonna be there! Speaking of south side peeps. I'm at screen gems and I came across these guys. A mk6 gti. Looks like a bagged mk4 gli (or jetta) and a mk3or4 r32. Anybody know who they are?